Platypus Big Zip SL Drink Tube Kit - FREE SHIPPING! How do I dry my Platypus Big Zip reservoir? Drying Big Zip reservoirs is easy, with a dishtowel through the large opening. Then prop them open with the SlideLock slider and let them air dry. Another great way to dry all reservoirs and bottles is with a plastic bag dryer. Your best bet is to get a Platy Insulator. It insulates everything from reservoir to bite valve and comes complete with a new Big Zip SL Reservoir. If you would rather work with what you have, start off the day with warm or hot water in your reservoir and pack your extra clothing layers around it. Inside a pack, this will generally not freeze during a day trip in all but the most extreme cold. 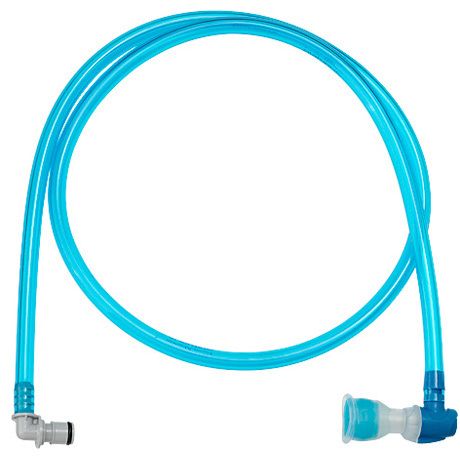 For drink tubes and bite valves, sip often to maintain flow and do not leave residual water in the drink tube between drinks. Blow into your bite valve to force water back into the reservoir. Also, keep as much of the drinking tube covered as possible, inside a pack or jacket.